New Jersey Jr. 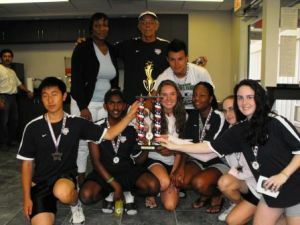 Team Tennis is a recreational program offered by the United States Tennis Association (USTA). It is supported by the New Jersey Region of the USTA Eastern Section and by member clubs and organizations which give support to the New Jersey League. The program offers players with varying tennis skills an opportunity to compete in a weekly Jr. team tennis league of increasing competitive levels.